Christchurch is close to many incredible tourist attractions, heritage sites, stunning scenery and areas of extreme beauty, all within easy reach of Christchurch city. 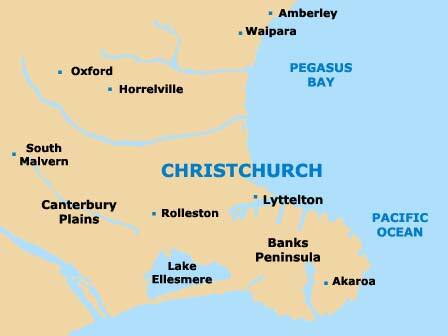 Popular attractions nearby Christchurch include the regions, towns and cities of Lyttelton, the Banks Peninsula, North Canterbury, Central Canterbury and South Canterbury, all home to a wealth of attractions, such as mountains, lakes, walking / tramping trails, glaciers, skiing fields and museums. In, Kaikoura, within easy driving distance of Christchurch, it is even possible to swim with dolphins. 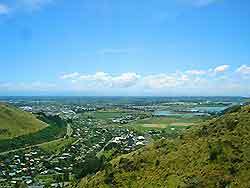 There is always a tremendous variety of attractions and things to see and do nearby Christchurch and day excursions around Christchurch, Canterbury and other nearby areas of New Zealand's South Island are extremely popular. 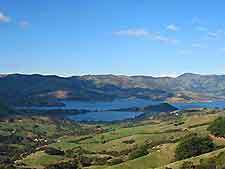 Originally created by giant volcano eruptions, the Banks Peninsula is a hilly area, close to Christchurch. 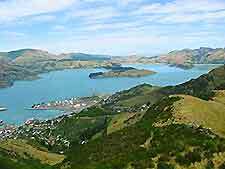 Full of natural beauty spots, vineyards, gardens, mountainous regions and a wealth of flora and fauna, attractions at the Banks Peninsula include Le Bons Pigeon Harbour, Little Akaloa Bays, and the small town of Akaroa, with a large harbour, interesting museum and charming streets steeped in history.